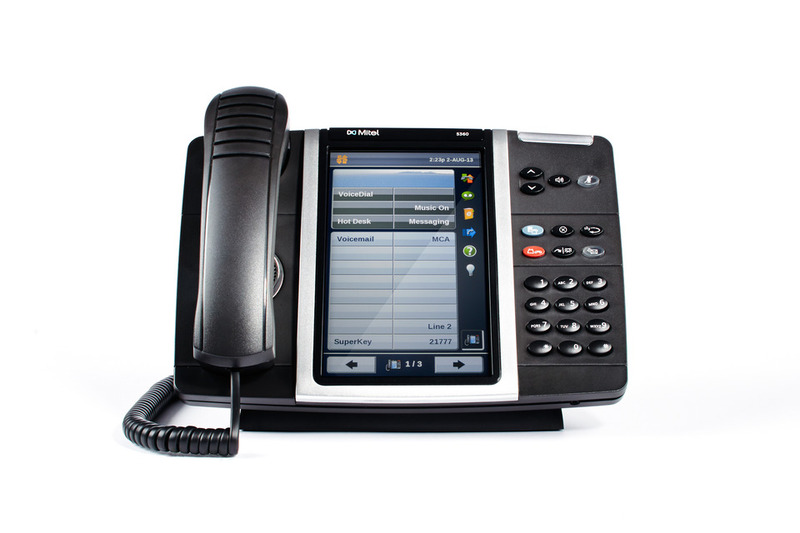 The Mitel MiVoice 5360 IP Phone is perfect for any manager or chief, telecommuter, or contact center manager. It is an executive class desktop gadget that gives a vast color illuminated touch presentation to graphically convey rich applications to general business or over different vertical business sector segments. The 5360 IP Phone conveys simple to-utilize, one-touch access to numerous telephone elements and applications. The 5360 IP Phone highlights 48 programmable self-naming keys, six natural call-state touchy softkeys, prevalent sound quality, and an implicit HTML Toolkit for desktop applications improvement. Furnished with a Gadget Sidebar, the seven-inch show empowers one-touch access to inserted or web based substance and applications. Expands to support up to 250 users and multiple sites. Functionality can be added with Mitel and third-party applications and devices. Contact us below to set up a communication system to connect your whole business.